Trefis, a financial and analytical tool, is predicting that the iPad business will be more valuable to Apple than the Mac business in the long run. Of the company’s $267 Apple stock price target, it’s estimated that the iPad business accounts for 4%, while Apple’s Mac business accounts for 3%. The three factors that serve as the foundation for the argument are: 1) the pricing gap between iPads and Mac desktops is expected to narrow, 2) unit sales of iPads will exceed Macs and 3) gross margins for Mac desktops are lower than iPad margins. There’s a whole slew of things not factored into this report (iPad recurring content revenue, Mac HDMI potential, etc.) not to mention that’s a huge drop in price for the Mac which is not likely to occur anytime soon. That said, fidgeting around on the interactive charts with corresponding changes in data was fun. Cramer has now focused his screaming on Apple. Don’t get bored with it, he yells. Just because Microsoft’s stock is down 7% year-to-date and Dell was upgraded doesn’t mean investors should swap out of Apple for its competitors. Certainly there are times when portfolios should be updated with new ideas. However, in terms of Apple, now is not one of those times to sell the stock. “We want progress, we want new products, we want new plants, we want improved margins, and we want better balance sheets,” Cramer said in regard to Apple. “But we don’t want a new and different stock that might not have those in store for us. We want more of the same.” Not that we disagree, but Cramer sounds like every other Apple analyst out there. The only difference is he has his own TV show. Our biggest concern about the stock is still that everyone loves it. Apple has apparently been urging record labels to decline participation in Amazon’s Daily Deal promotions according to a major label executive. For Daily Deal promotions, Amazon negotiates with music companies to obtain a one-day exclusive before an album’s release date, giving the company a jump start on sales. iTunes representatives have allegedly been pushing record labels to opt out of the promotion and threatening to remove iTunes marketing support. The bulling appears to have worked in certain cases. We can see how this would be frustrating for Apple: iTunes works hard to promote an album weeks in advance of the release, only to have Amazon sweep in and steal some of its thunder. Unless you’ve been living under a rock, you know Apple ships the iPad with Wi-Fi this month, and the 3G subscription-based model will follow in April. AT&T continues to be the carrier of choice to provide 3G connectivity to US iPad users. Keeping that in mind, you would think that AT&T’s own CEO would be the number one promoter of the 3G model, right? Wrong. Randall Stephenson says he thinks the iPad will be a Wi-Fi product and doesn’t expect “a lot of people out there looking for another subscription.” What’s more, Randall also advised that higher data rates are likely for intensive users of the unlimited 3G data plan. A jammed network and you pay more for it. Is this guy for real? (We agree with him, though: We think the future of the iPad is $199 pricing for Wi-Fi versions. When the price hits that point, the iPad will be a mega-hit). The lawsuit Apple filed against HTC was an indirect hit at Google who came out swinging yesterday stating “we stand behind our Android operating system and the partners who have helped us to develop it.” Apple’s lawsuit is the biggest stop yet in the increasingly acidic relationship with Google. Android phones are increasingly competitive to the iPhone as hardware makers release devices based on the Google OS. Sure, Google provides several major applications, like YouTube, that ship with Apple’s iPhone, but Apple has blocked several other Google-based applications from the App Store. For now, Apple still has the edge here (in market share), but it is pursuing a “closed” hardware/software model while Android is pursuing an open one. 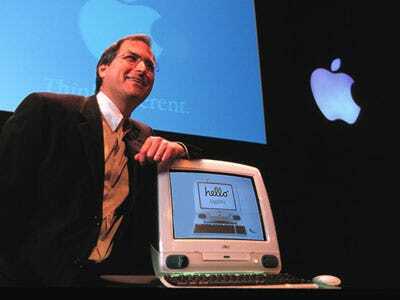 Apple did the same thing with Macs in the 1990s, and this choice relegated it to a niche-player. iPhone Finally To Get Wi-Fi In China? As China was one of the major topics at Apple’s recent shareholders meeting, it comes as no surprise that there is talk that the iPhone will soon be sold there with Wi-Fi capabilities provided by China Unicom. Wi-Fi is obviously a key to the iPhone success in China as users want Internet access but don’t want to pay more for using a mobile network. The Chinese government requires mobile phones with Wi-Fi also to support WAPI (WLAN Authentication and Privacy Infrastructure), a security protocol. Apple will have to meet that requirement. Along with opening 25 stores, hopefully this will spur sales in China, where the iPhone adoption has been weak.